Good small businesses listen to the concerns, suggestions, and demands of their customers. But the best small businesses take that feedback and implement essential changes to meet the needs of their customers. This is where customer surveys come in. Without a customer survey—one with clear, well-written questions—you won’t know what your small business is lacking and what changes need to be made to better serve your customers. While it may seem easy to ask customers how they feel about your business, how can you record, organize and analyze their responses? What about the responses you get from face-to-face interactions? Are those customers being completely honest with you, or are they avoiding critical comments to spare your feelings? The process of gathering customer feedback can be simplified by sending a survey. Asking a variety of questions will help you better understand your customers and what they want to get out of your products and services. A survey can provide a wealth of data you can use to improve the way your small business runs. This blog post will guide you through the process of creating a survey, from setting a goal to creating a plan of action based on the findings. Step 1: What do you want to know? At some point in every company’s journey, they’ll use surveying their customers or potential customers as a business tool. Surveys can be used for market research, for research and development, or for connecting with your customers or clients. The most effective surveys have clearly defined objectives with questions that are related to the overall goal. This prevents the survey from becoming bloated with unnecessary questions while ensuring that your research findings are actionable. Once you know what your survey is for, then you can start building it. Surveys are great at gathering two types of data: objective facts and subjective states. If your goal is to identify your most profitable customers, you’ll want to gather objective demographic data (age, marital status), as well as subjective information (behaviors, interests, and opinions). But beware—the way you ask a question can have a big impact on the answers you receive. 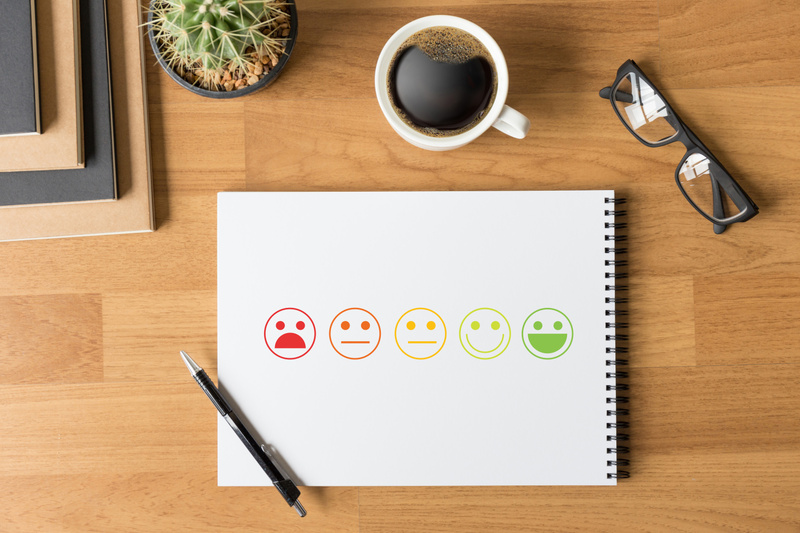 When measuring customer satisfaction, you could use a numerical scale (“How satisfied are you on a scale of 1 to 5?”), Net Promoter Score (“How likely are you to refer us to others?”), an open-ended question (“How would you describe the quality of our customer service?”), and more. The results and reports you get will vary greatly, depending on your approach. Anytime there is a drop-down option, it’s best to include a text area to allow the contact to provide more details if they would like to. This is also a great way for you to capture testimonials to use on your website, social media pages, or in marketing. (If you do this, ask if you can use the customer’s comments first). In deciding the best sales questions to ask customers, remember this: Every question you put into your survey should serve a specific purpose. What will this information provide you? What insight can it give you? Will the information you gain from it change how you’ll do business or your product? The majority of audience surveys are now conducted online. You can choose from a number of affordable, easy-to-use online survey tools—such as SurveyMonkey, Typeform, or Google Forms—to set up and administer your survey. Surveys can also be made in CRM software, like Infusionsoft by Keap. Simply make a landing page with your questions and provide the link in your email blast. The Infusionsoft by Keap Marketplace offers premade campaigns you can download into your app, including a customer satisfaction survey and a customer feedback survey (for recent purchases). Each option has advantages and disadvantages, but regardless of which solution you use, always test your survey before distributing it to customers. To test the survey, share it with co-workers, friends, and family to get a wide range of feedback. Look for spelling and grammar mistakes, in addition to errors like leading or confusing questions or responses that are not mutually exclusive. It is very important to identify and correct any errors before launching the survey. Remember, once it’s live, you can’t take it back. Once you have tested your survey and are confident the questions are clear, it’s time to encourage your target audience to participate. There are two primary factors that impact the number of people who will complete your survey: motivation and friction. Almost everyone feels short on time, and most of us don’t want to fill out another survey. Offering an incentive for participation can greatly increase motivation. You can pick something that appeals specifically to your audience’s interests or something that has a mass appeal (Amazon gift cards are a popular choice). If your incentive budget is $100, you can either offer a chance to win one of ten $10 Amazon gift cards or one $100 Amazon gift card. A longer survey should have a bigger incentive. It also helps to simply explain the purpose of your research. To create a sense of urgency, set a deadline to complete the survey. Friction is anything that makes it difficult to take the survey, such as length or the difficulty of questions. Keep the survey short to prevent fatigue. As your survey gets longer, fewer people will complete it. A typical survey should take no longer than five to seven minutes to finish. Be sure to include how long the survey will take in your message to the customer. If you can, avoid including too many open-ended questions. You’ll get a better response rate with set responses and it will be easier for you as the business owner to analyze the survey. Send an email to your list announcing that the survey is live. Make it a part of your purchase confirmation e-mail or on the finalize page on your website. Place a survey link on your website to find out what your current customer base wants to see from your business, or what will help convert a higher number of potential customers. Use social media accounts to your advantage. Put the links up, and use them as teasers to perk the interest of the customers you already have and retain their attention. Once you’ve gathered your data, it’s time to crunch numbers and create reports. There are so many potential ways to slice and dice the data that it can become overwhelming, so be aware of overanalyzing. To keep things simple, start with an overall analysis that includes data from all survey respondents. This chart outlines common types of reports you can create from survey data and explains the advantages of each type. Once you’ve completed your overall analysis, identify two or three possible ways of slicing your data for further review. For example, you could segment your data by industry or annual revenue to see if there is a difference in behaviors between the groups. Avoid the temptation to oversimplify the meaning of the data. While it can be exciting to uncover findings in your data, remember that outliers can skew your data in unexpected ways. Know your margin of error and keep that in mind when comparing groups. You generally need at least 100 respondents in one group for the analysis to be meaningful or trustworthy. It’s important not to ignore feedback, even the unflattering stuff. When you put out a survey, you may not like all the responses that you get, but those are the ones you probably should pay the most attention to (short of anything nasty, which you can just ignore). Finally, don’t lose sight of the original goal of your survey. Charts and graphs are fun but stay focused on the data that supports your research objectives and provides insight into bigger questions. The findings must be looked at objectively and interpreted in a way that will allow you to establish a course of action. Data and statistics can supply the numbers, but only you can make sense of them in the context of your business. What you do with your survey results is dependent on what purpose you began with. Obviously, you can use the feedback to improve aspects of your business that may have emerged as problem areas from the respondents. But you can also give the information more mileage by using it advertise and market your business. There are two different ways to do this: by using the information to cater your branding to your customer base or by giving your customers the information right back, repackaged by your business. Retaining current customers is just as important as converting new ones. That means that you’re also thinking of them when doing your advertising. If you show your existing clientele that you’re still thinking about them and catering to them, they’ll do the major legwork in converting new customers. You don’t want to be the company that made a marketing decision that was in direct opposition to their customer’s values. Often what draws someone to a business is knowing that they will be a part of something bigger: a community. You can often repackage survey response information as an infographic, for example, to show how the people who buy your product all share some connecting value. You can show that they share not only similar tastes but maybe they share positive traits or strong beliefs. All of this can nurture a sense of community around your company. Surveys can be an essential tool in building your company. If packaged well, you can create eye-catching and informative reports or you can alter your branding to support the communities you rely on. There are innumerable benefits to keeping audience surveys in your business toolbox, and it only gains value when you know how to use these results to your benefit.